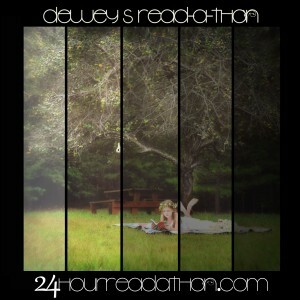 Midnyte Reader: Dewey's 24 Hour Readathon - April 27, 2013. I'm signing up last minute for Dewey's 24 Hour Readathon. I'm not sure what I'll get done, but for slow readers like me, readathons can be very helpful. This also coincides with the Spring Into Horror Readathon, which I'm also participating in. I don't have a list or pile yet, but I'll keep you posted. As of now, I hope to finish I Travel By Night by Robert McCammon and then I'll see what else is waiting for me on my TBR shelf. Update: I woke up and walked on the treadmill and then started reading. If course I fell asleep, snacked, cruised the net, etc. I'm almost done with the above title, but it took me all day. MINI CHALLENGE: Re-title your current read. 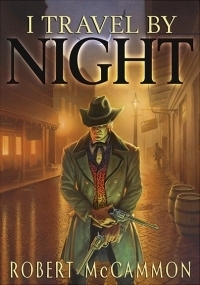 I think the title of this book is perfect, but if I had to re-title it I would retitle it either Nocturne, which is the name of the town that the main character is looking for or Night Song. If you read the book, you will know why, but I'm sure you can use your imagination. It is a vampire story after all. Labels: Dewey's 24 Hour Readathon. I love how laid back you are! I'm way too anxious during the first few hours, because I want to do EVERYTHING! Whatever approach you take what matters is that you are having fun today! Hope you are enjoying your reading today. I'm a slow reader too in comparison to these others who can get so much done in a day! Good luck. Here's my Dewey's Read-a-thon post if you'd like to stop by. Hey Congratulations! You won on hour 9!!! Looks like an interesting read. I'm sure you'll do great. Keep on reading, you can do it! Hope the reading is going well!